For all bookings please contact your preferred restaurant direct - Click here to search Toscani's locations. For all general enquiries please fill out the form below and one of our friendly staff will be in contact with you shortly. Are you looking for a particular store? 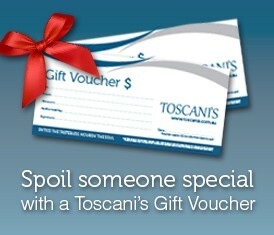 Click here to search Toscani's locations.